Welcome to a fun addictive Puzzle game on 123mathgames.org – Hangman word game. Hang on tight to your balloons! Test your vocabulary by finding hidden words one letter at a time. Up for a challenge? Increase the difficulty and you’ll have fewer balloons to hang on to! Hangman is used often by teachers to practice spelling, vocabulary and just for fun. The most popular way to play hangman games offline is to draw blank letters for the chosen word on a paper or on the blackboard and let the players guess the letters. And now, we can play this games online –Hangman word game. Featuring the high quality with a lovely colorful interface and realistic sound, Hangman word game will surely give players a feeling of relaxation and the best experience. It is not difficult to learn how to play but hard to conquer all levels. Try it and show us your achievement right now! Good luck and have fun! Hangman word game is suitable for players of all ages. Guess letters one at a time to solve the word puzzle. Click a letter to guess it, or type with your keyboard. 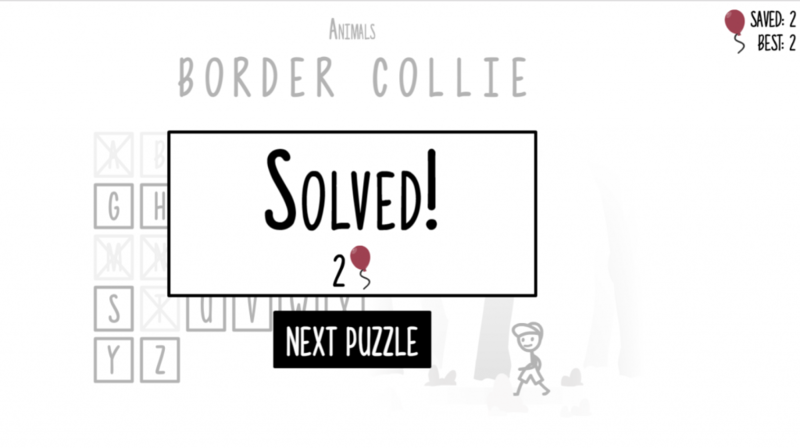 Each time you solve a word, the balloons you save are added to your score. If the picture is complete before the word is revealed the hangman game is lost and the character is hanged, if the word is revealed before the execution the game is won. Playing this Hangman word game helps children to be clever with their hands, improve their logical thinking. Besides, this game also helps children explore the world more. Besides, this game also helps children explore the world more. Keep following to check out more games: Hangman word game, hangman game online, hangman game for kids, hangman cool math, hangman cool math games answers. Just play and enjoy.